G.P. Putnam's Sons, 9780735215955, 528pp. But the scariest story is the most closely guarded one. Two Russian nuclear missiles have been hijacked. The Campus gets their first break when Jack Junior connects with a rogue Russian intelligence officer in Afghanistan--only to be abducted soon after arriving. John Clark and the rest of the Campus team race to track the missiles and rescue their colleague. A little more than thirty years ago, Tom Clancy was a Maryland insurance broker with a passion for naval history. Years before, he had been an English major at Baltimore's Loyola College and had always dreamed of writing a novel. His first effort, The Hunt for Red October, sold briskly as a result of rave reviews, then catapulted onto the New York Times bestseller list after President Reagan pronounced it "the perfect yarn." 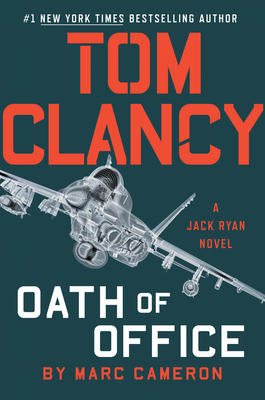 From that day forward, Clancy established himself as an undisputed master at blending exceptional realism and authenticity, intricate plotting, and razor-sharp suspense. He passed away in October 2013. A native of Texas, Marc Cameron spent twenty-nine years in law enforcement. He served as a uniformed police officer, mounted (horse patrol) officer, SWAT officer, and a U.S. Marshal. Cameron is conversant in Japanese, and travels extensively researching his New York Times-bestselling Jericho Quinn novels. Cameron's books have been nominated for both the Barry Award and the Thriller Award.